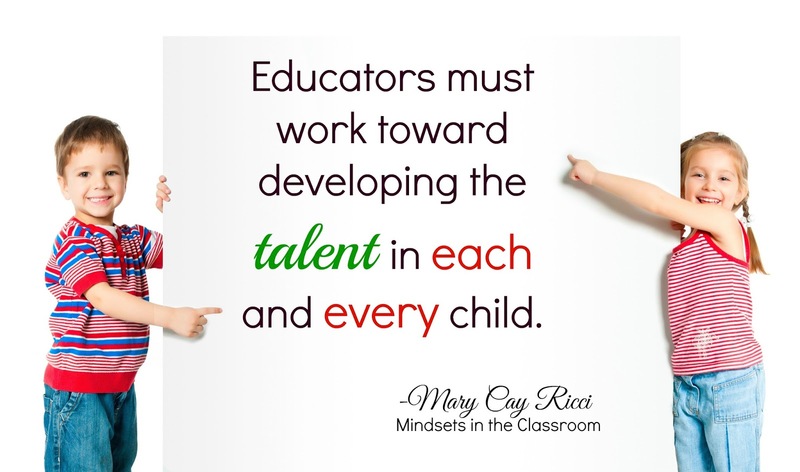 Once again I'm linking up with the Hello Sunshine teacher's blog for their book study on Mary Cay Ricci's Mindsets in the Classroom. 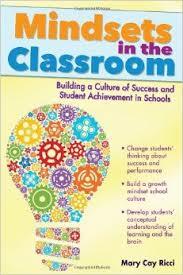 Chapter 7 is about whether or not gifted education and a growth mindset belief can coexist. 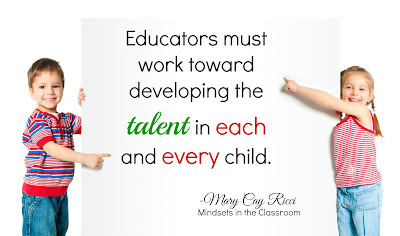 This was an interesting chapter for me because my daughter has been in our district's gifted program since she was in kindergarten and now she is going to 7th grade. Our district calls it SUN or Serving Unique Needs. Below are some of my favorite quotes for the book. Ricci advises the reader to think about our use with the word "gifted". She recommends using "high-potential learners" or "highly motivated". Ricci believes that there can be negative messages sent to students that are placed in gifted classes. As I mentioned before my daughter has been in the SUN program since kindergarten. From K to 2nd I didn't see anything negative in her attitude about being in the SUN program. When she got to 3rd grade I began to see over confidence in her. She didn't take suggestions well and she believed that she knew it all. The most disappointing change was that she would and still does tell her little brother that she is smarter than him. After reading this chapter I began telling her that if her brother is motivated he too can accomplish great things in school. Unfortunately she doesn't believe me. This is a message I have always told her but not in those words. This chapter has helped me better understand gifted labels. 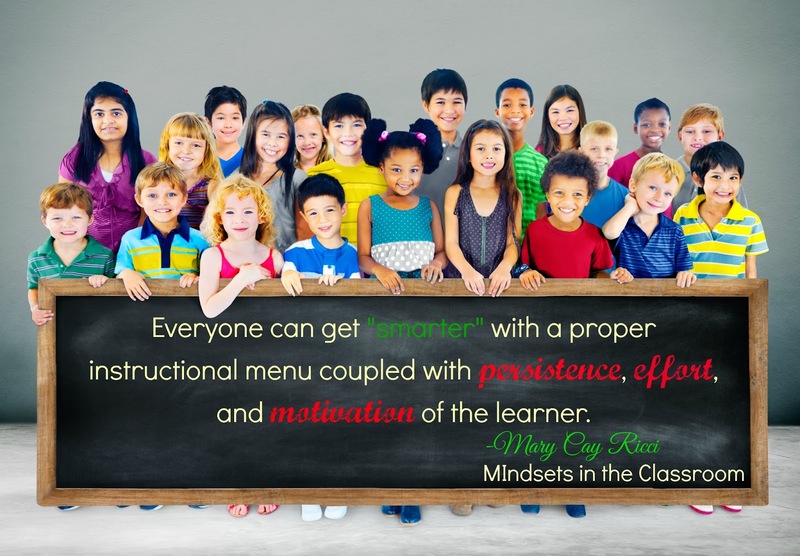 What Are Some Ways to Help Students Adopt a Growth Mindset? I can tell this will be a chapter with lots of highlighting going on!